Thank you to the editors of Floating Bridge Press for inclusion of my poem in Pontoon. It’s beautifully presented. Lately, you’ve read some of my poems detailing the struggle I’ve had over the year with recovering from a heart attack, my triple bypass, gall bladder surgery and pancreatitis. It was a full year of not knowing if I’d ever feel good again, or work doing what I love, or being able to do the fun stuff with John that we did prior to getting sick. A week ago I hit rock bottom being denied a trip to LA to see Springsteen and the E Street Band with friends I took to see the River Tour at the Sports Arena 35 years ago in 1980. His son invited me to go at Christmas and I spent 3 months super excited about going. I wish I still had a photo from that long ago. At the time, I had a girlfriend, and we had driven down from Utah where I was going to school to see him in October. I drove the whole way with a a broken ankle, which was put into a cast 3 hours before the show. I was transformed that night into a decades long fanatic of Bruce Springsteen and his band. I was drawn to his music, his sense of community, and the sheer joy he had in performing and giving back to an audience that clearly loved him and the band. Having been denied that trip last week by security here in Seattle, I was crushed. It was exactly a year since the open heart surgery and I was planning on using the weekend to come out of recovery and into a new life ahead. Sitting in the airport watching the plane taxi from the gate without me was when I hit rock bottom. I was inconsolable and felt like I had no place to turn. The following Saturday morning my husband, John, and I woke up early and the sunrise was particularly beautiful. We sat on the deck with our coffee and watched the sky change, the sun come up over the Cascades and light flood our home. I began to feel better. Then, Tuesday morning I decided to buy a ticket for Springsteen’s show in Portland and drove down. I didn’t go to the show with anyone because I wanted to be anonymous and be able to dance and sing for 3.5 hours without a care in the world. Springsteen shouted at the top of the show, “Are you ready to be transformed?” and if there was anyone in that arena needing to be transformed, it was me. And by the end of the evening, extremely tired, hoarse and feeling like I’d overdone it from a tight chest, I was feeling transformed. A lifetime of memories of countless shows, how I felt when I saw the band in all its various configurations, and the one constant feeling of community – a shared moment in time with people who just wanted some release came back. I was released from my inner demons, pain, and the hard realities of recovery. Then, in Seattle, my Godson and his fiancé, my husband, a few other friends all went to the Seattle show. We were invited by our good friends, Judy and Todd, to join them and we all witnessed an epic show. It was far different from the Portland show as Bruce was in high spirits, the crowd was with him the entire night, and the band played tight and beautifully. One of the causes dear to my heart – feeding the hungry – was in the house as expected, but that night it was different as Pearl Jam offered to match whatever was collected. In a gesture not done yet on this tour, Bruce collected signs from the audience and the last hour and a half became a bit of a free-for-all adding energy and fun to an already glorious evening. Sitting with John, dancing with my Godson, and completing my transformation from a stunningly hard year happened. At the end of the show, when Bruce again asked, “Are you done?” several times to the audience to egg them on, I was thinking to myself, “no I’m not, not by a long shot.” And so I’m ready to take what comes, come back into my life, our lives together as a married couple, and move on. I just had to wait a week to be restored. All it took was a quiet morning over coffee with John, a sunrise, two Springsteen concerts, and my Godson, his fiancé, and a whole host of wonderful friends. It’s great to be reconnected to all that lies ahead. 1 year ago this weekend, I had triple bypass surgery. It’s been a very difficult year save for the brightness of my marriage to my husband, John, last summer and the continuing love he brings. I wrote a cycle of poems that I thought I was finished with, which I presented at the Rainier Valley Lit Crawl a couple of weeks ago. Things happened to me again, which prompted the start of this poem on Friday, March 18th, the exact date of the bypass surgery. Without going into a lot of detail, I finished this poem today, heaviness lifted, and life continuing on. I hope you’ll enjoy the poem. I’m doing just fine. It’s for John and all of you. the hollowed out tree of me. as light filters through stained glass. the one I wrap myself around each night? a bad heart, a bad pancreas, opportunities stripped away. fail slowly, an old engine missing its spark. falling away under cover of night. Inconsequential. organisms must begin to burrow into its striated bark. It is a law of nature to begin again, nursing those in need. all you who sleep tonight, will feel when you wake. This weekend marks the first time I’ll be reading in public for a year. It also marks the anniversary, of sorts, of my journey with heart disease, triple bypass and recovery. I’ll be reading The Heart Cycle, a series of poems about the experience. It has been an extraordinary year, which culminated in pancreatitis and gall bladder removal a couple of weeks ago. I cannot begin to explain how it all felt except through words and getting it down on paper. I’ll be reading with many other talented writers during the Rainier Valley Lit Crawl #3, and am looking forward to hearing their words. Come out and support the crawl beginning at 5pm at Spinnaker Bay Brewing. I’m up first, so arrive early and have a beer with us! My reading is dedicated to my husband, John, who bore the brunt of everything that transpired with grace and love. Rhonda Coleman wrote this great article about my novel several years ago that I just read again. I wanted to share it out. I’m very happy to report that two poems from my 16 poem suite, See America, have been published very recently. My heartfelt thanks to the editors and their staffs of these terrific literary journals. A very special thank you to Kary Wayson at Hugo House who helped edit West Hollywood to Pasadena, CA 1998 and several other poems during her tenure as writer in residence. A couple of weeks ago we hosted a great guy in our Airstream through Airbnb. He stayed a week and unbeknownst to me downloaded Airstreaming to his Kindle. He left this note for me the night before he left and it was wonderful to receive. Again, this is why I write – to give amazing experiences to others and to quell my own demons. 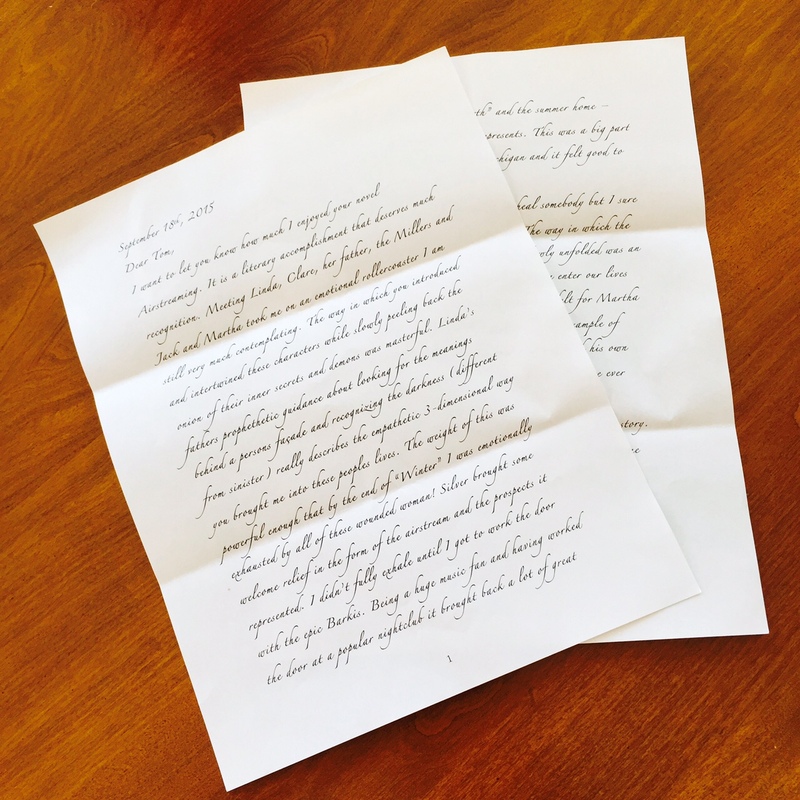 Here’s the text of the letter and I redacted a line that gives away the ending so I wouldn’t offer any spoilers up. Take a look and I’ll hope you’ll download Airstreaming as well! 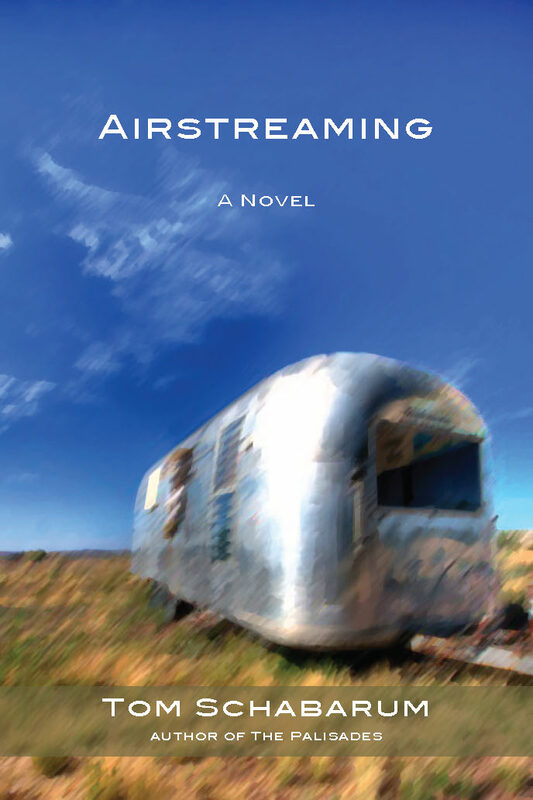 I want to let you know how much I enjoyed your novel Airstreaming. It is a literary accomplishment that deserves much recognition. Meeting Linda, Clare, her father, the Millers and Jack and Martha took me on an emotional rollercoaster I am still very much contemplating. The way in which you introduced and intertwined these characters while slowly peeling back the onion of their inner secrets and demons was masterful. Linda’s father’s prophetic guidance about looking for the meanings behind a person’s façade and recognizing the darkness (different from sinister) really describes the empathetic 3-diminsional way you brought me into these people’s lives. The weight of this was powerful enough that by the end of “Winter” I was emotionally exhausted by all of these wounded women! “Silver” brought some welcome relief in the form of the Airstream and the prospects it represented. I didn’t fully exhale until I got to work the door with the epic Barkis. Being a huge music fan and having worked the door at a popular nightclub it brought back a lot of great memories as did the term “Up North” and the summer home – lake culture- seasonality that it represents. This was a big part of my own childhood in Northern Michigan and it felt good to relive it a little. We all knew the Airstream would heal somebody (removed as to not give away the ending). The way in which the seriousness of Martha’s mental health issues slowly unfolded was an accurate representation of how these things often enter our lives only to leave and return. The genuine sadness I felt for Martha was commensurate with the pride I felt in Jack’s example of choosing to nurture and protect her over escaping with his own demons of work and alcohol. As men, we know these are ever present. I could go on, but yhou don’t need a recitation of your own story. Thank you for writing this and for the experience you gave me reading it. 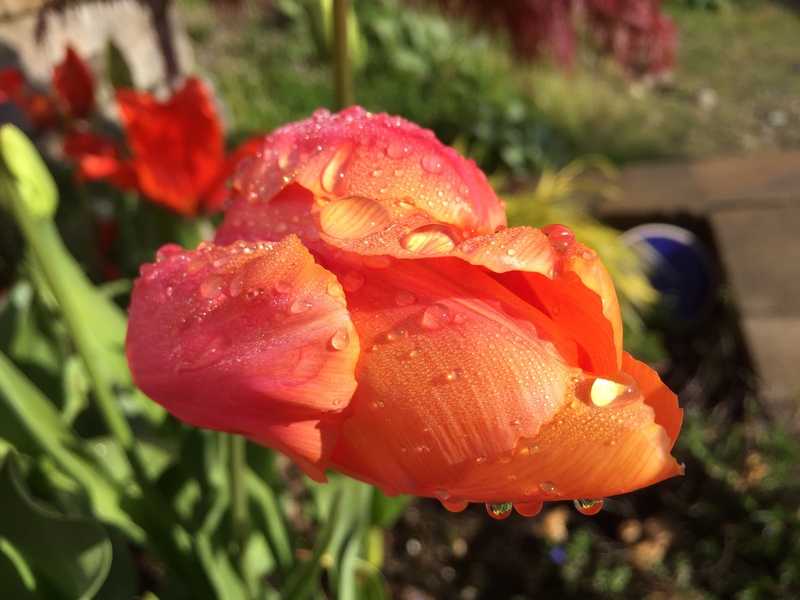 Six years ago, at the beginning of Fall on the cusp of turning 50, and after a summer in which all confidence was beginning to abandon me in many areas of my life, I put together a selection of poems and sent them out in the world. I had not attempted to publish anything for eight long years, but continued to write, write, write. On my shelf, each in their own notebooks, were two and two thirds novels, several short stories and many poems. I’m not sure why I never submitted. Perhaps it was the confidence thing, work, laziness, the thought that only writing was the thing that mattered, but most likely it was a combination of all those things. So I submitted several poems finally and won the 2010 Creekwalker Poetry Prize juried by Jannie Dresser, a well-known and lovely Bay area poet. I was astonished. I couldn’t believe my luck, but it did wonders for me – so my thanks to Ms. Dresser – even to this day. Like the Cowardly Lion I felt I’d been given courage by the great and powerful Oz. 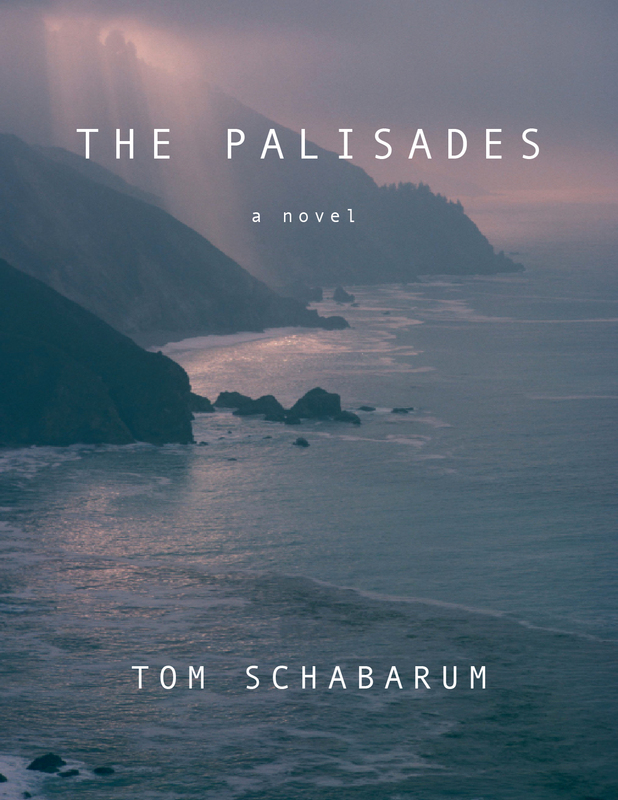 I embarked on publishing and put out my first ever novel on Amazon Kindle and entered “The Palisades,” into the Lambda Literary Contest and, lo and behold, it became a finalist. Again, flabbergasted, it was as if I’d been waiting for some sort of validation all my life. Matt Yau, whose well-respected blog, A Guy’s Moleskin Notebook is read widely, placed it on his Top 12 Books for 2010. When I first read his review, I was weeping in the streets since I was reading it off my cell phone in downtown Seattle. Again, validation. 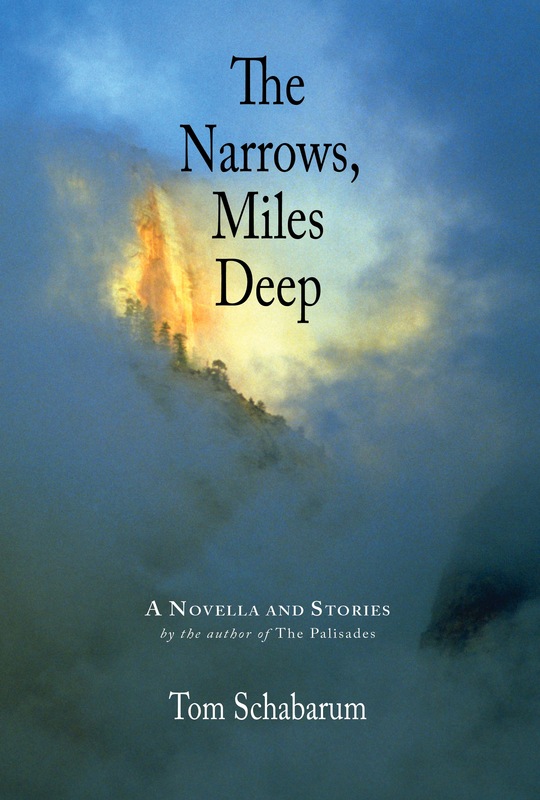 My experience of that book led me to release “The Narrows, Miles Deep,” a deeply personal narrative of the HIV/AIDS plague years. Felice Picano chose it as a best book of 2011 for Lambda Literary Foundation’s year-end round up. Gaining confidence, I finally finished “Airstreaming” after 12 long years from it’s first few lines to finished manuscript. I released that a year after “The Narrows, Miles Deep.” For me, “Airstreaming” was a pure act of storytelling. Trying to write something completely out of myself, I was insistent on every page being absolutely free of anything I knew, or anything I felt a need to say, but when I got the editor’s notes back she asked if the lead character in the book, Linda, was me. I was floored. Yes, it was. I had written about my need for independence at that age, only I didn’t realize it until someone else pointed it out. Since the heart “incident” finding the confidence for just about everything has been extremely difficult. I have close to 20 pages for a sequel to Airstreaming and about half that for an entirely different novel. Perhaps I just need to write a few sentences, or take the computer to my favorite coffee shop and disappear for a while into the pages. Or stand up at Hugo House and read a few poems during open mic night. The fear of not making it through the latest round of poems keeps me from doing so. Is it distance I need? I’ve been thinking about all of this these days – particularly with the onset of Fall. I dreamt of a kayak the other night – and of the sea. 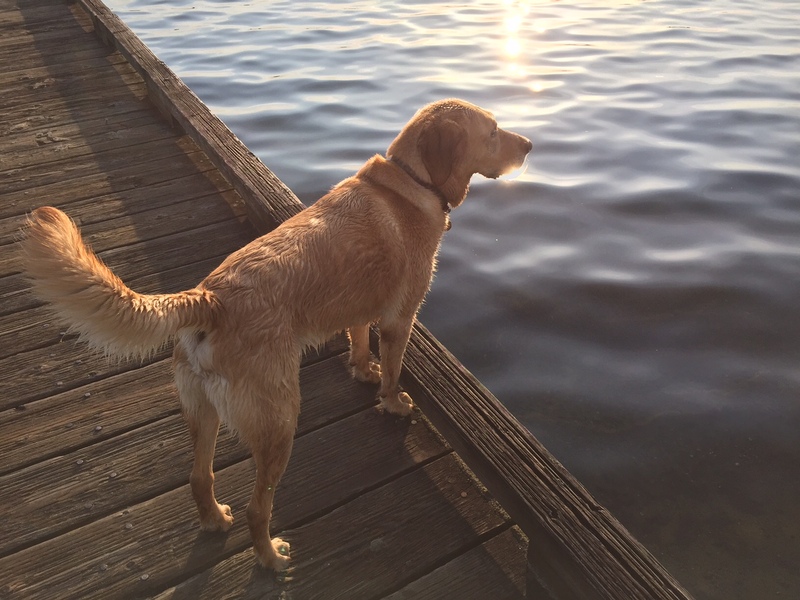 For thirteen years I’ve walked along this lake, most with a dog, stick in his mouth, longing, eyes on the lake. Now, I can only touch his stick, which he is offering to me, and which I know disappoints him because I can’t throw it into the water until I heal. I’m too focused on my heart’s beat, and that I’ve dropped more weight. I’m focused on upturning my collar today as the weather has shifted back to Northwest normal. Buster has a sense about me, and he is happy to eat the spring grass, dip his toes in, and swim circles around thrown imaginary sticks. I think how I’ve turned his life around, and how he keeps me walking, the very thing I have to do. I take pleasure when my barber vacuums my head after my first haircut, tasting my first Baja Taco, my first sip of decaf coffee, avocados. Everything seems new. and I was left with stillness. Tom, Jack, Brad and Jack.